When you think extreme, you think steel chairs, barb wired bats, and blood. Lots and lots of blood. But Extreme Rules, by evidence of the last ten years, does not try to emulate ECW by any means. 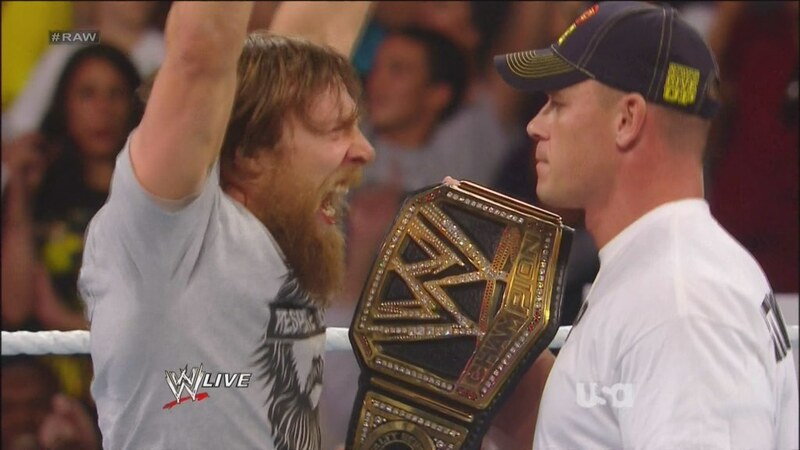 Extreme Rules allows its Superstars to settle their differences with extreme stipulations. None more so than the WWE championship match that will be contested under two stipulations. In the Golden Age of wrestling, the steel cage was considered the most extreme method to settle a score. Randy Orton, a student of the game, chose the confinements of the steel cage to ensure Seth Rollins would be separated from The Authority. While that would cause complications for other competitors, Seth–as he had said before–loves complications because it creates opportunities. The flaw in Orton’s plan to set this match inside a steel cage is that there is no roof to the cage; Seth Rollins can escape over the top, or J&J Security can easily climb in to protect the asset. More so, Seth Rollins can have the ring rigged with weapons or have his corporate stooges supply the hardware whilst inside the cage. Then there’s the banning of the RKO, a brilliant stipulation on the champion’s part. Randy Orton has amassed countless championship victories courtesy of the RKO finisher. So where does that leave Orton in terms of offense? Can he win a match without the use of the RKO? In order for Randy Orton to win the WWE championship from an opportunist like Seth Rollins, Orton will have to unleash a venom that has laid dormant since his battles with Triple H back in 2009. The one move that fans have been clamoring for its return since. A move so vicious that it almost ended the careers of RVD and Shawn Michaels. Randy Orton needs to punt Seth Rollins’ head off his shoulders. The punt kick is the only chance Randy Orton has of defeating Seth Rollins inside the steel cage. It will be in this environment where, seemingly, Seth Rollins will have nowhere to hide and no outside interference to save him from the onslaught. But if Randy Orton chooses not to bring the punt kick back into the fold, his odds of winning will not be in his favor.